Shahid Kapoor Shares A Fresh Photo Of Daughter Misha and This Will Make Your Day! 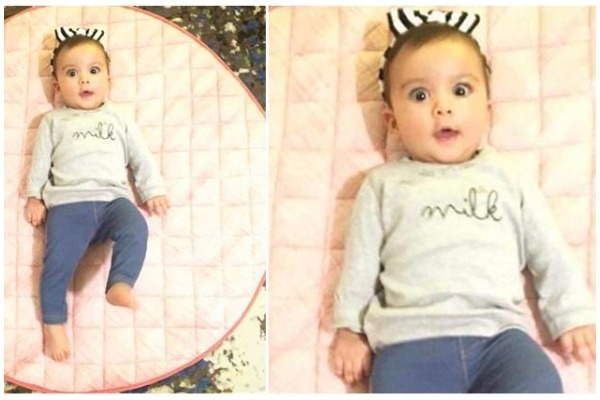 Lately, Bollywood’s hottest daddy Shahid Kapoor had surprised his fans by sharing the first adorable photo of his daughter, Misha. The picture had Shahid’s wife Mira Rajput kissing their daughter and it immediately left social media into a tizzy. Now, Shahid has shared another fresh photo of his daughter Misha and we are sure, this will be the best thing you will see today. Well, for almost six months Shahid Kapoor kept his little daughter away from media and paparazzi. Whenever he stepped out of the house, Sasha totally wrapped the little toddler in order to avoid being clicked by the paparazzi. Well, the actor is quite protective of his little daughter and we understand!